Tucson, Arizona is a city rich in history dating back thousands of years. It’s one of the oldest continually inhabited areas in North America. Between A.D. 200 and 1450 Hohokam Indians lived and farmed here. When their civilization declined, their descendants, known as the Pima and Tohono O’odham inhabited the region and continue to live in Tucson in present day. In 1699, Father Francisco Kino establishes the Mission San Xavier del Bac. Kino was one of history’s foremost explorers of the southwestern United States and northern Mexico. He was born in Italy, educated in Austria, and traveled to Mexico as a missionary for the Society of Jesus in 1678. He dedicated his life to helping develop communities in the new world. The city of Tucson was officially founded in 1776, when Hugo O’Conor established the Tucson Presido. Tucson’s birthday is celebrated annually across the city with tons of events and parades throughout town. Tucson remained as the northernmost Spanish outpost in the New World until 1821 when it became part of the new country of Mexico. Thirty-two years later, in 1853, it became part of the United States as a result of the Gadsden Purchase. After becoming a US territory in 1863, the population grew to approximately 8,000 people by 1880. The University of Arizona was actually constructed in 1885, outside the city limits in the countryside. Finally, Arizona became the 48th state to join the union in 1912. By 1950 Tucson grows to a population of 120,000 and by 1960 it nearly doubles to 220,000. In 1972, The City and Pima County officially recognizes the city’s history by adopting historic district ordinances. 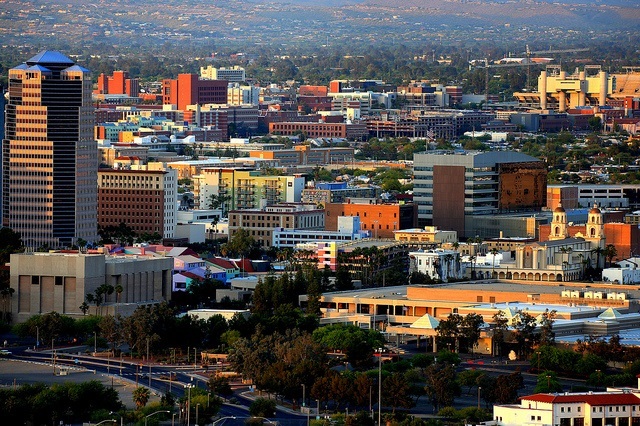 By 1990, Tucson becomes the 33rd largest U.S. city with a population exceeding 400,000. Today, Tucson is a melting pot of a variety of cultures including European, Native American, Mexican, and Asian, among others. It has an abundance of art, business and shopping districts, as well as museums, parks and restaurants. Many residents are attracted to the year-round beautiful weather and multitude of outdoor activities available in Tucson, Arizona.